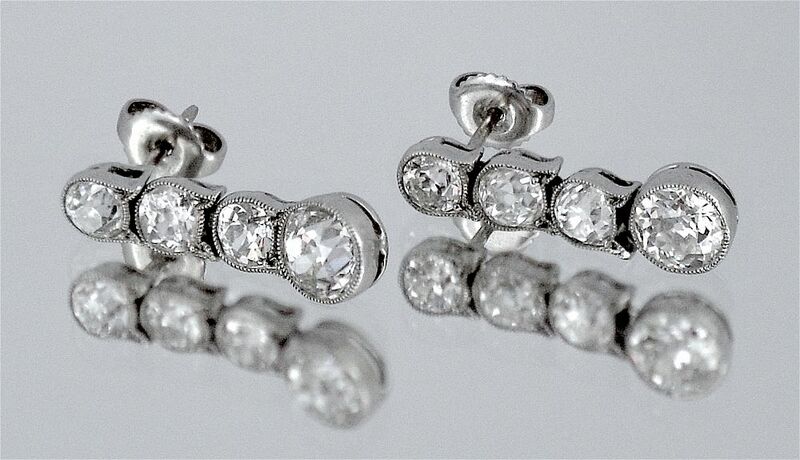 These beautiful Art Deco drop earrings for pierced ears are made of platinum. 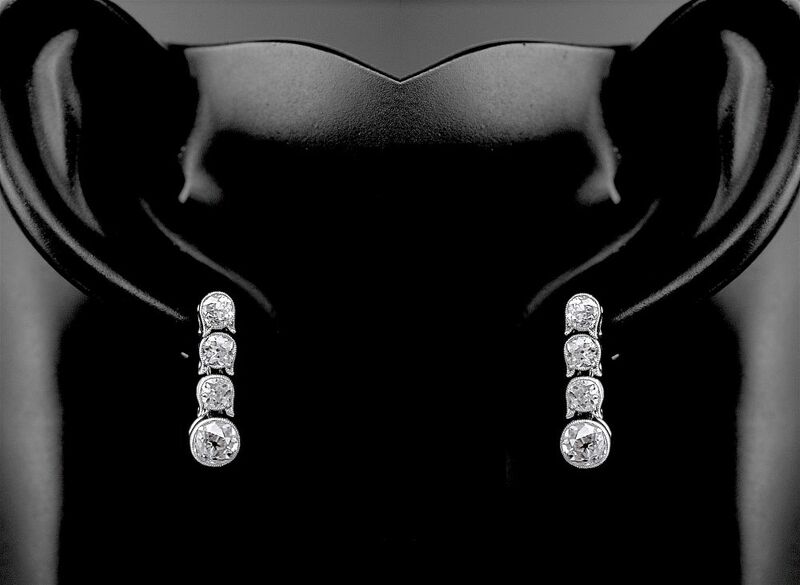 The top 3 diamonds of each earring are all set in bell shaped mille-grained platinum settings with the fourth and larger diamond being set in a round mille-grained platinum setting. The earrings are fully articulated and are fitted with a post for pierced earrings and have 18ct white gold butterflies. They can be dressed up or down and are a lovely everyday wear.